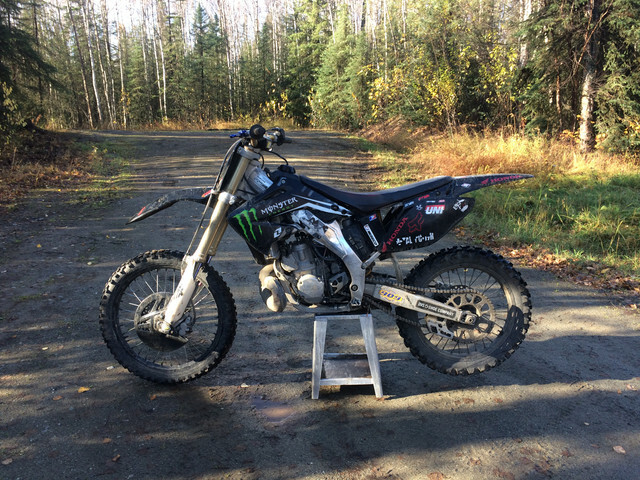 As some of you OG member may remember, I used to own a 96 CR250 for many years but ended up selling it back in 2011. I absolutely loved that 96! Wish I had never sold it. I tried getting back into riding once, but my bike ended up getting stolen and it was quite a messy situation. I'm ready to give it another go! Now that summers coming to an end here in Alaska, bikes are starting to pop up for sale. I'm looking for something I can do a build on over the winter, and when summer comes around I'm going to be looking to get into racing for the first time. The 1996 CR250 which I have grown so fond of. needs some work. Price is $1400 OBO. Next in line is this 2002 cr250. Always liked how the newer 02+ bikes looked, though have never rode one. price is $2500 OBO. I'm fairly certain the 96 will be more of a power house engine wise, but looking into getting into racing has me concerned about the dated suspension which has me thinking about the 2002. I'm a bigger built dude, weighing in at #230 but in good shape. So the suspension will need setup for my weight regardless of which bike I get. What do you guys think? Should I pick up the 96 and use the difference in price for mods/improvements? or do the pro's of the 02's newer chassis and suspension make it that much better of a track weapon? Should I just buy them both and drop the 96 engine in the 02 chassis for a race bike, and the 02 in the 96 chassis for a play/woods bike? Last edited by crdude; 09-28-2017 at 04:27 AM. I ended up buying the 02, its absolutely rips. Have had a lot of seat time on a 96 as well as a 97 cr250 over the years, the 02 feels far better then I remember the older bikes being. Don't get me wrong the 02 and up still rips hard and the one you got looks nice as hell. But from what I've heard the powervalve can be difficult to deal with.